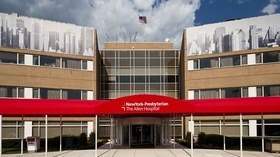 New York-Presbyterian Allen Hospital plans to shut down 30 inpatient psychiatric beds. Amid opposition from political and community leaders, New York-Presbyterian's CEO, Dr. Steven Corwin, is defending the health system's plan to close all 30 psychiatric beds at Allen Hospital in Inwood. Corwin described NYP's commitment to behavioral health as "unwavering" in a letter sent to local elected officials this week. New York-Presbyterian said it will make investments in outpatient care in northern Manhattan. Plans include expanding its community crisis stabilization program and developing an adult psychiatric intensive outpatient program and a youth behavioral health crisis hub. "We are confident the changes we are proposing will be beneficial for our patients and community and look forward to continuing to share information as we move forward in conversations with our government partners," Corwin wrote. Politicians including Rep. Adriano Espaillat (D-N.Y.) had criticized the plan for removing vital mental health services from the northern Manhattan neighborhood. Other electeds including State Sen. Marisol Alcantara, Assemblymember Carmen De La Rosa and Manhattan Borough President Gale Brewer previously wrote to the state Office of Mental Health with concerns about eliminating the beds. Community Board 12 in Manhattan approved a resolution opposing the plan 34-0 in February. Behavioral health experts told Crain's this week that with a decrease in inpatient beds, more investment is needed to provide mental health services in the community. "Hospitals make economic decisions to close inpatient psychiatric beds and community-based mental health and substance use providers are called upon to fill gaps," said Jason Lippman, executive vice president of the Coalition for Behavioral Health, an advocacy group. Corwin said the proposed renovation is necessary because of increased demand for labor and delivery services, neonatal intensive care and surgical care at Allen. He said NYP also wants to "provide better access to appropriate, intensive psychiatric care." Inpatient psychiatric care would instead be provided at its Columbia, Weill Cornell and Gracie Square hospitals in Manhattan as well as its Brooklyn Methodist and Westchester campuses. "Less than half of the current behavioral health patients at Allen are from the surrounding neighborhood, so many patients may now be cared for closer to their home community," he wrote. State Sen. Marisol Alcantara said the letter showed that New York-Presbyterian got the message that northern Manhattan and the Bronx need more mental health services, not less. "While I still do not agree with the closure of the 30 psychiatric beds at the Allen Hospital due to the significant need of inpatient psychiatric care in Uptown Manhattan, I do believe New York-Presbyterian is taking a step in the right direction by increasing access to mental health services in the area," she said in an email. Hospitals closed 51 psychiatric beds last year in New York City, according to the state Department of Health. Other health systems such as Northwell Health and Mount Sinai have reduced their inpatient psych bed total and added outpatient mental health services in recent years. Anthony Ciampa, a registered nurse at New York-Presbyterian/Columbia who also opposes the bed reduction, said the decision to replace behavioral health services with surgical services seems motivated by profit. Ciampa, who represents New York-Presbyterian nurses on the board of the New York State Nurses Association, said he doesn't believe additional outpatient services will be able to make up for the round-the-clock monitoring offered in a hospital. "These are patients who have long-established relationships with health care providers," he said. "To sever those relationships and tell patients they would have to travel to Westchester is unrealistic." "New York-Presbyterian to replace Inwood psych unit with outpatient services" originally appeared in Crain's New York Business.